Except the places I would liken to Mordor are singularly without shadows. Curiously, they are all connected to dry lake mining operations. 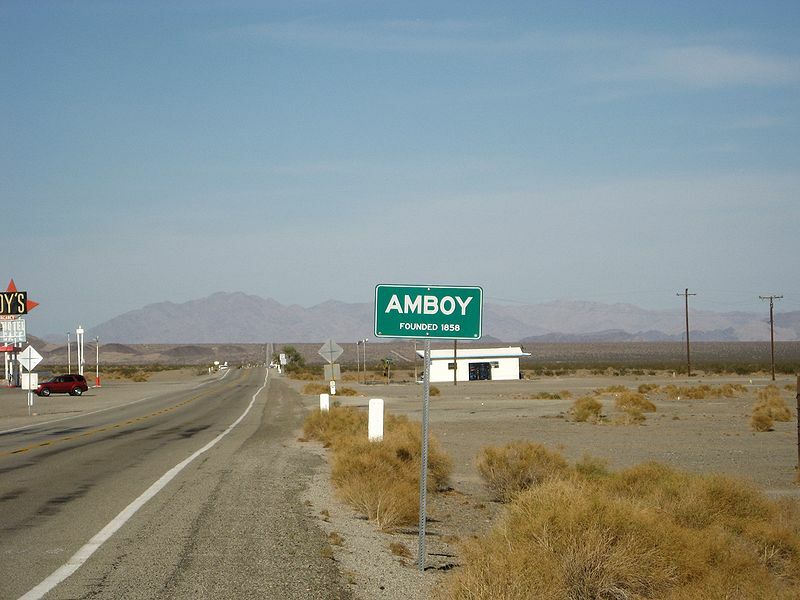 The grimmest of all is Amboy, on the original Highway U.S. 66. It lies a few miles east of Barstow, a hellhole in its own right, which is a rail junction and the gateway to Fort Irwin. 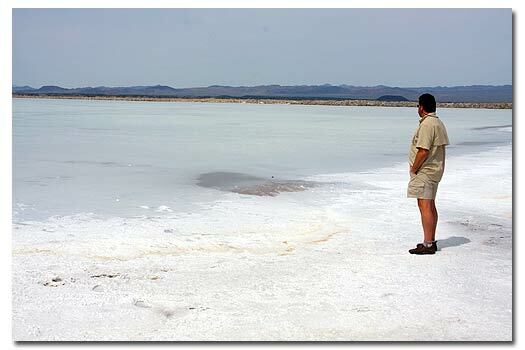 Amboy owes its existence to Route 66, but also to Bristol Dry Lake, which contains some 60 million tons of salt for your French fries. Also in the area are mines containing Boltwoodite, a relatively rare form of uranium, along with gypsum, calcite, and fluorite. I got to know Amboy when Martine used to work at Twentynine Palms at the U.S. Marine Base there (she was a clerical worker at the Naval Hospital there). A couple of times, I would pick her up, drive through the ghastly “community” known as Wonder Valley settled by veterans of gas attacks in World War I along a road which terminated at Highway 66 in Amboy. From there we headed to Las Vegas using the Kelbaker Road and the Morningside Mine Road. It’s a desolate area with sand dunes (near Essex) and some spectacular stands of Joshua Trees. What are the other places in California I liken to Mordor? They’re right next to each other on the road from Ridgecrest and China Lake to Death Valley: namely, Trona and Borosolvay. Both are desolate but more habitable than Amboy. Yes, hell can be sunny sometimes.